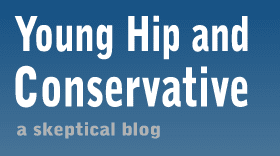 Young, Hip and Conservative: a skeptical blog: When did violence against women become funny? While I believe the mainstream media has a left wing slant, I tend to find myself groaning at the tone and examples used by right wingers when they bring up the issue. This time is different. Matt Lewis of The Daily Caller called out the jackals who were laughing at the 911 tapes of Bristol Palin being physically assaulted while drunk. Because she's a Palin, apparently, that makes it funny. Noah Rothman at one-eyed-watchdog HotAir.com has a fair juxtaposition with CNN anchor Carol Costello's laughing commentary about the 911 tape of a crying woman recounting how she was attacked by a stranger and her serious commentary about the Ray Rice domestic violence case. If you have any doubt that Costello thought this was hilarious, another one-eyed watchdog site has the clip, including her introduction where she laughingly says "This is quite possibly the best minute and a half of audio we've ever come across – well, come across in a long time anyway." Costello was far, far from the only one in the media who took this as a funny story. She has since issued a shallow, boilerplate apology, as have others, but I have to say the most hypocritical player in this game comes from the rapid feminist site Jezebel, which has not updated or retracted its gleeful post.